I’m a juvenile, female hoary bat. I’m the biggest, and most beautiful, bat in Canada. I weigh in at a whopping 25g! 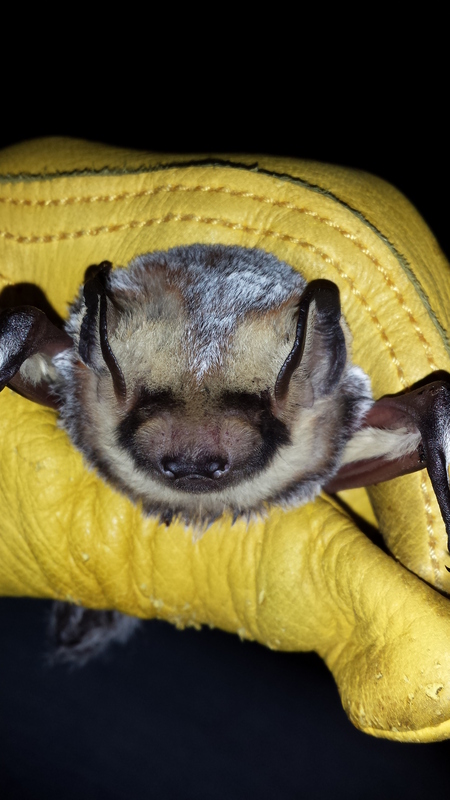 I’m a migratory bat – my mom migrated here to have her pups and we will all migrate south for the winter. Unlike most species in Canada that live in cracks in trees, I hang in leaves on tree branches, so I have a furry tail and furry wings to help keep me warm.